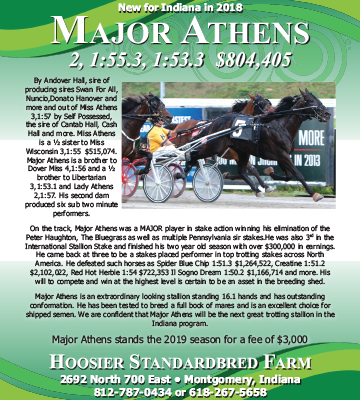 Indiana bred horses are at it again! This time, it was Homicide Hunter who stunned the racing world with the first ever sub 1:49.0 race, winning the $145,000 Allerage Farms Open Trot in 1:48.4. The mark for the Mr Cantab gelding is a new world record, the first trotting mile to ever dip below the 1:49.0 time barrier. Starting from post four, Homicide Hunter and Brian Sears floated out of the gate as Lindy The Great and Scott Zeron rushed out to take the lead by the quarter in :26.2. 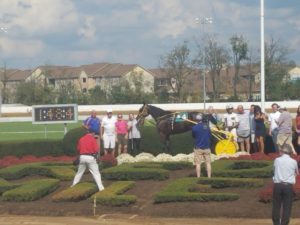 The tempo continued to be quick through middle fractions of :53.2 and 1:22.0 before Homicide Hunter came into the picture. Moving up from the back of the pack, Homicide Hunter utilized the long stretch at The Red Mile to trot home in :26.0 to earn the victory, three lengths ahead of Guardian Angel As and Matt Kakaley. Pinkman and Yannick Gingras closed for third. 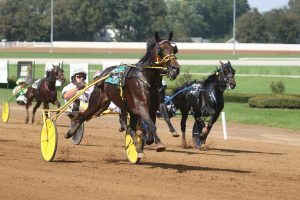 The previous world record for trotters of any age was held by Sebastian K, who won in 1:49.0 at The Downs at Mohegan Sun in 2014. 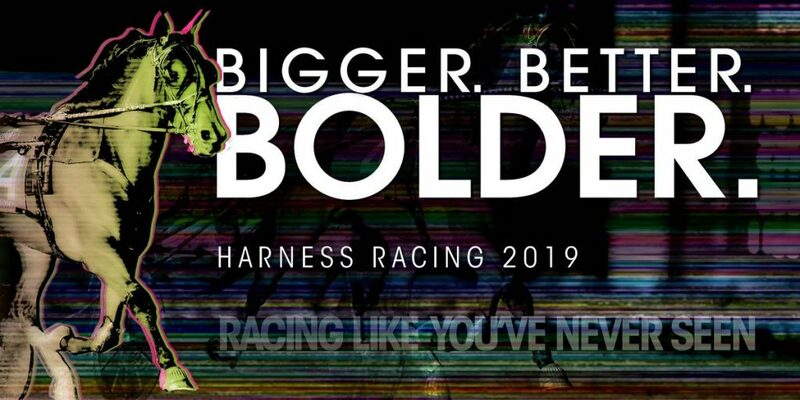 Ironically, the track record at The Red Mile was held by Indiana trotting sensation Hannelore Hanover with a 1:49.2 winning effort in last year’s Allerage Farm Trot. 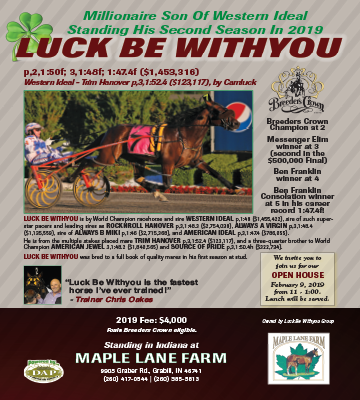 Owned by Crawford Farms Racing, Homicide Hunter has now won 38 of 75 career starts with earnings in excess of $1.4 million. He is trained by Chris Oakes. Speed was the theme of the day as nine of the 11 races on the card were recorded under the 1:50 time barrier including the $179,000 Allerage Farms Open Pace where McWicked and Lazarus N met once again for a battle. Both horses allowed Heaven Rocks A and David Miller to established the pace early on before closing in for the stretch drive. McWicked, driven by Brian Sears, and Lazarus N, driven by Yannick Gingras, both paced home in :26.4 to stop the timer in 1:46.2 with McWicked getting the edge by three-quarters of a length for the win. Filibuster Hanover and Matt Kakaley finished third. Of the nine horses in the field, all but one paced under the 1:50 time barrier with Heaven Rocks A finishing eighth and pacing in 1:49.0, not getting a check. 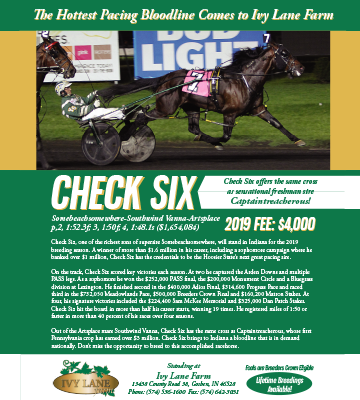 A horse that has been generating a lot of checks this year is the sire Mr Cantab, who has been standing in the state of Indiana since 2011. To date, the Cantab Hall stallion has 59 of his 185 starters with marks of 2:00 or under. 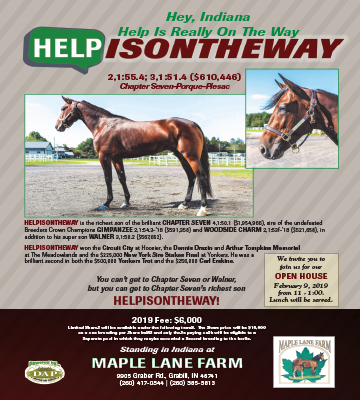 Mr Cantab, who brought $350,000 as a yearling and was trained by Erv Miller during his racing campaign, stands at stud at the Hoosier Standardbred Farm in Montgomery, Ind. He is owned by the partnership behind the Mr Cantab Syndicate. He stands for a fee of $2,000.